Well, when someone says India is not creative, don’t be sad or fell degraded as we have people like Aryabhatta who gave the world zero “0” and people like Sabeer Bhatia who provided a free method to store, share and receive documents and emails. Sabeer Bhatia and Jack Smith are the founders of web-based email provider Hotmail.com or HoTMaiL, founded in 1996 with features like a free account with storage up to 250 MB, spam filters, and virus scanning. Later Microsoft acquired Hotmail.com in 1997 for an estimated $400 million, calling it MSN Hotmail, later rebranded to Windows Live Hotmail. 8.4 I Travel Overseas So How Could I Prevent Myself from Locking my Hotmail/Outlook Account? Microsoft released the final version of Hotmail.com in October 2011, available in 36 languages. It was later replaced by Outlook.com & currently, it is known as Microsoft outlook live. Today, outlook.com offers webmail, contact, tasks and calendaring in 106 languages. Apart from the history and birth of Hotmail, now let’s see what we can actually do on Hotmail. Firstly, you have to visit the official website of MSN Hotmail login URL name for Hotmail is https://live.com or www.Hotmail.com or https://outlook.com. It will show you three options: “Create free account”, “Try our apps” and “Support”. Also, Outlook/Hotmail offers Premium in which you have to pay for the additional services provided or powered by the Microsoft to its premium customers. Create Account if you already have an account on Hotmail and Sign Up if you want to register yourself for the services of Microsoft. Type in the Hotmail com search bar of your browser, a sign in window tilted (Outlook) will appear. Click “sign in” button and start the process. 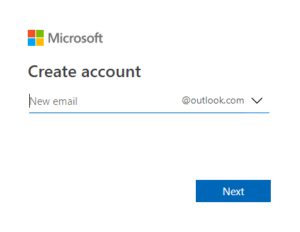 Click on the Create Account button, a text box with New email will appear with a drop-down menu asking for the extension of the email structure as outlook.com or hotmail.com. Type the username and the extension you want. If the username already exists then it will inform you of getting and new username. Click on the Next button after doing so. now enter the email Id you want to create. Now it will ask you to create a password, type a strong password of your choice and press “next” button. ( strong is safe and safety is an important issue ). In order to set up a password, it must have at least 8 characters and contain at least two of the following: uppercase letters, lowercase letters, numbers, and symbols. Type your password in the field. Further, it has a checkbox asking for whether you want to receive promotional emails from Microsoft. Now enter your First and Last name. Enter the required field on the following text field and click on the Next button. After clicking on the Next button it will be asking for the County/region showing a drop-down menu with options of the country and the birthdate by using mm/dd/yy format. Enter the country and your birthdate. 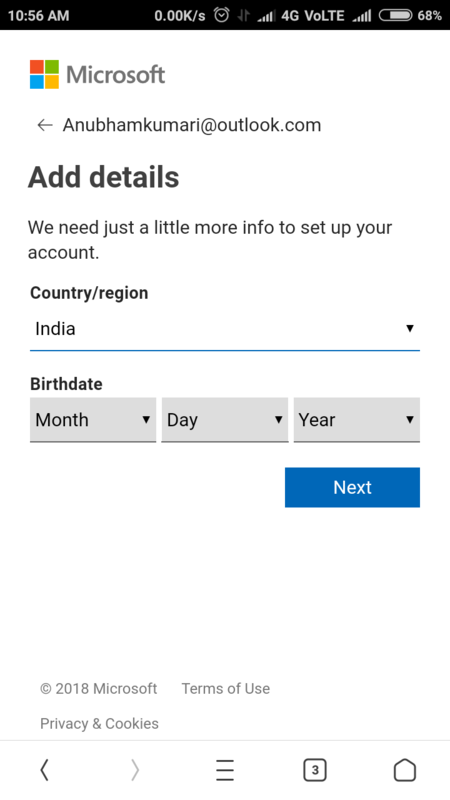 Select your country, and give your date of birth for the account details. Click on the Next button. Now it checks whether you are a person or a bot. There will be two option whether you want to do it by picture or audio. When you click on the audio it will present you audio and ask for entering the words you hear. Further, it will ask to press 1 to play or repeat the audio. Enter the words you hear in any order. New will provide you with different audio. If you choose a picture, an image with characters will appear to recognize the characters and enter the character in the field. Click on the new button if you are unable to recognize the characters in the image it will provide you a different picture with different characters. Now, click on the Next button. For security info, it will ask you to provide your phone number, it will send a confirmation OTP and confirm your account. Note: You can't register for new account without phone number. It is very necessary to verify the account as it will put an extra layer of security to your account. After clicking on the Send Code button code will be sent to the given number and if you didn’t receive the code you can click on the I” didn’t get a code” button. Enter the received code and click on the Next button. Now select your time zone for accurate date and time data. 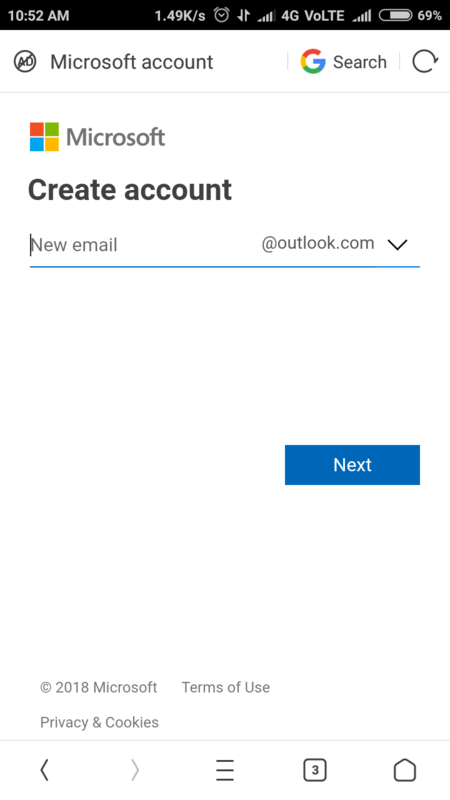 Doing this your Hotmail (Outlook) account will be created. Now you are all set up for using Microsoft features. Use it. To send emails and connecting with others. You finally have access to the features of the Microsoft by using this account. 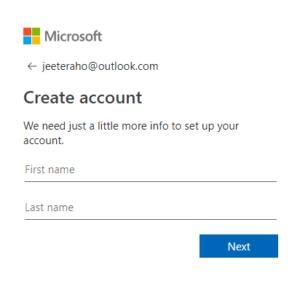 You can use them by just going to the official website of Microsoft and clicking on the Sign In button which will ask you for the username you used in the signup process and the password you used. These are the easy steps which will help you create your Hotmail.com account, now your account is ready and free to use. You can also check out how easily you can set up your professional email signature in hotmail. I think these steps will crystal clear your queries related to signing up on www.hotmail.com or www.outlook.com or outlook.live.com account. Say it anything, work is the same. Have you ever thought of customization options available in Outlook in terms of message format? in terms of layout and so on? As usual, Most of you will have the answer of “NO” so let’s check out Outlook Customization and 3-Message format availability in Microsoft Outlook/HotMail Live or whatever! You Know What? I love Visualization! and I hope you too! and We can’t work on the same designs, we like to use visual cues to increase our productivity and to manage our daily works. Here, Outlook offers amazing functionality in terms of sorting and responding effectively. If you do not sign in for more than 5 years, your account will be deactivated and all your data deleted. So do sign in timely. B/w 5 Years is too much time for anyone. Hotmail account is your one drive and Skype account also, so you can use both the functions with a single account. If you want to delete your account, when you ask for deletion it gets suspended ”deactivated” for 60 days, it is the time period when you can reactivate your account. If you do not sign in after deactivating your account it will be deleted permanently. You can use your single account of Hotmail for many services which come under Microsoft. Here are the details of the few most popular things where your Hotmail account will come in handy. If you are in the tech world then you must be knowing about the popular free video calling software Skype. It has evolved quite since the time it first came. You can even share the files through Skype. Skype is also available for both Android & ios devices. You can also call a non-skype number by paying some penny. OneDrive is a cloud storage platform, You can store data up to 5GB in the cloud for free through Microsoft Onedrive account. There is no limitation on the kind of file you can save. You can access your cloud storage from anywhere in the world. Again you can use your Hotmail account to sign in. Microsoft Word is the most popular editing software. We can create, edit, save, print a document in MS word. Much other third-party application also supports login through Hotmail. So if you have a Hotmail account then you don’t need to worry about entering your email everywhere. One click Hotmail access will do all the good for you. Gaming users must be knowing about Xbox. For anyone who is not yet aware by Xbox then let me tell you, Xbox is a video game brand by Microsoft. You can use your Hotmail account to sign into Xbox. Microsoft has released its three consoles as of now. If you love to make frequent notes then Microsoft OneNote is there for you. You can create notes, clipping and be drawing in OneNote. Not only this you can share it on the internet easily. This software makes visual tables, automatic calculations through predefined functions. Excel can also deal with applications created through visual basic. You can use your Hotmail account to use Microsoft Excel. You can create a Stunning presentation in Microsoft PowerPoint. You can include text, multimedia of any type. PowerPoint offers a lot of presentation management tool. It’s easy to learn & anyone can make the great presentation with ease. You are a too busy guy who has a lot of tasks to do every day then Outlook Task can make life easier for you. 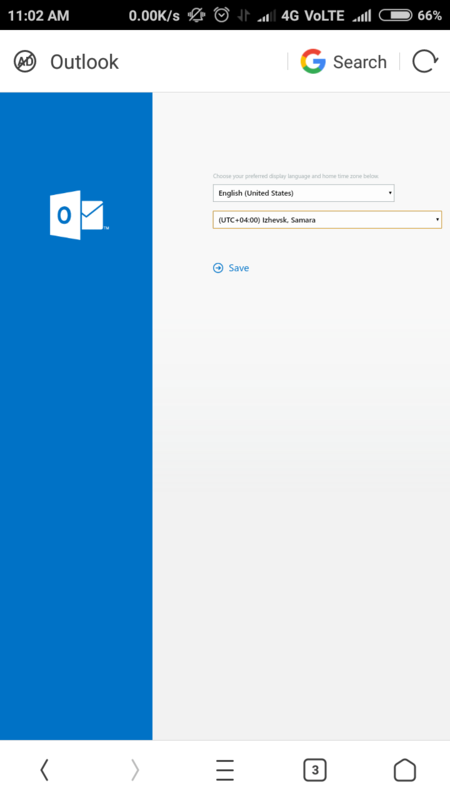 You can use Outlook Task using your Hotmail account. You can list down your task when you finish that task you can mark it completed in Outlook Task. This provides you with an easy to see a list of task which is pending. You can also assign priority to tasks & complete them in that order. You can also assign a deadline to each task. With hotmail login, you can do many things. Here are some attractive features. This feature allows you to directly interact with emails. Hotmail is a free online email service provided by Microsoft. It allows you to add and view calendar events stored in your account. You can do changes to the calendar without reloading the page. Contacts connected to your device can be easily managed and are automatically updated and saved. This feature allows us to view and edit and create Microsoft Word, Excel and PowerPoint document attached to the email, online without downloading them. It allows unlimited free storage space through one drive. The data and information collected from you are confidential. Your privacy is not shared with any third party person except you. 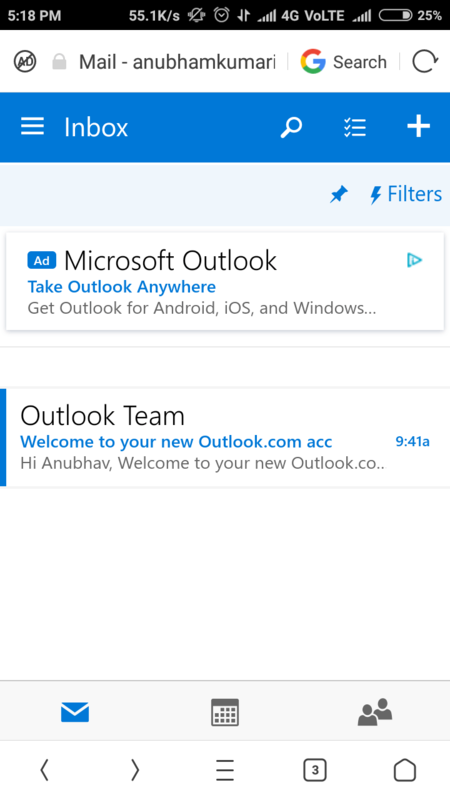 Hotmail uses content only for notification services. There is no price for signing up your account. You may only have to pay for using other connected features like Skype. If you are facing sign in problem, first thing is to check your internet connection. Many times we just try to solve the issue from the software side. It is very necessary that you should check if there is any hardware issue first. So before trying to login into hotmail.com or live.com or outlook.com, check if your internet service is working or not. If you see that “page Cannot be found” message, you should immediately contact your ISP. They will help you out to rectify the issue. If you don’t frequently manually login into your Hotmail using email & password, there are many chances that you get to forget the password after some time. If you are not sure to remember your Hotmail password, you can easily reset it. Here are some steps you need to follow to reset your Hotmail password. Go to the Hotmail login page. Click on ‘Can’t access your account? Hotmail resets password page will open. You will be shown three options. You can select the most appropriate option which applies to you. You can select the first reason if you are fully sure that you don’t remember your password. You can select the second option if you think that your password is right but still you are not able to sign in. This is highly unlike case. A computer doesn’t make mistakes. If everything is right from your side then you should be able to login into your account. Check all the spelling correctly. In the case of hacked account situations, select the third option. After carefully selecting the option which is applicable to you, click on the next button. Enter your Hotmail email or Microsoft email which is applicable. Fill out the captcha for human verification. 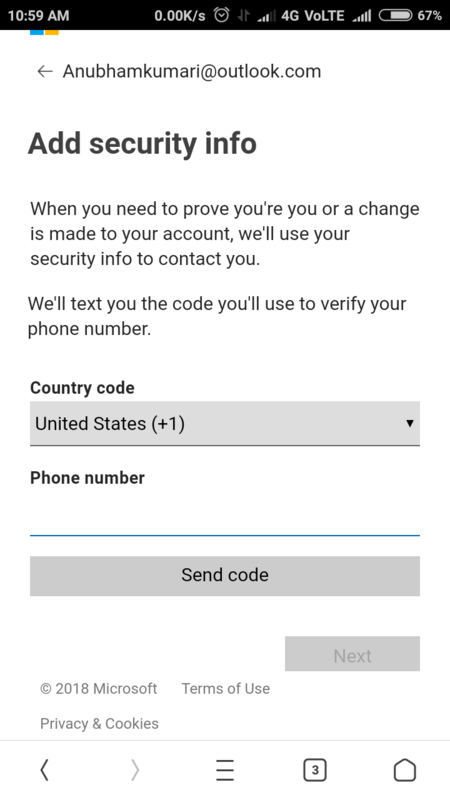 Enter your mobile number for receiving a unique code to reset your password. Now you can enter that code to change your password. You must double check the spelling of your email & password before getting to reset password option. It has been seen that mostly it is the spelling mistakes issue that gets the user in trouble while login. You must know that password are always case sensitive, always check the caps lock before entering your password. 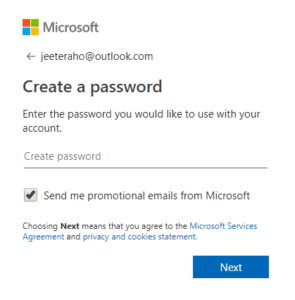 I Travel Overseas So How Could I Prevent Myself from Locking my Hotmail/Outlook Account? As we all know, security of data is most important and essential part for any company and if we see it individually, we are using our emails for the business purpose specifically Outlook email, then it’s important for us too. I understand a sudden change in location lock your account and you don’t like it at all but if you remember your secret questions and answers, then you can regain access within the next few minutes. Think it like a hurdle, not a barrier! 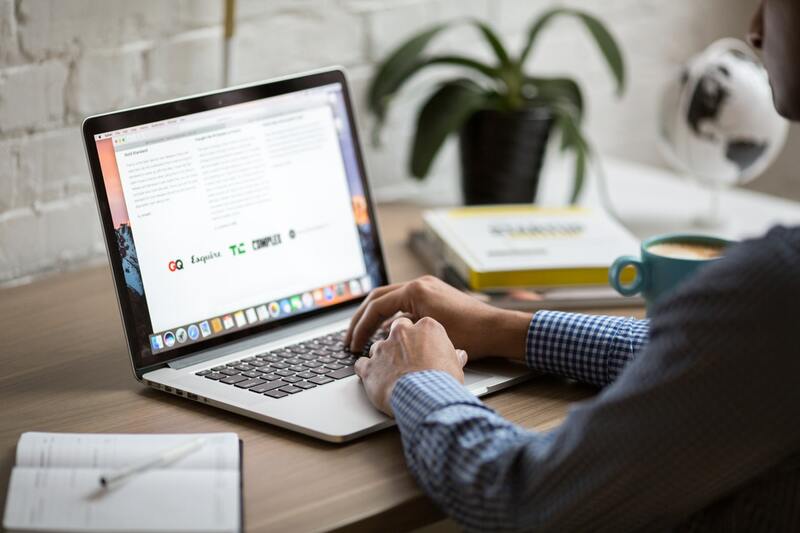 It’s a barrier to account theft who might use your email id to send spam emails, to ask for financial support and for several different unethical purposes. If you are still facing problem in Hotmail login that we would suggest you contact the Hotmail support. You can use skype, It provides free calling service inside the United States. If you want to use Hotmail in your android device then that can be easily done too. Here is the playstore link for downloading. 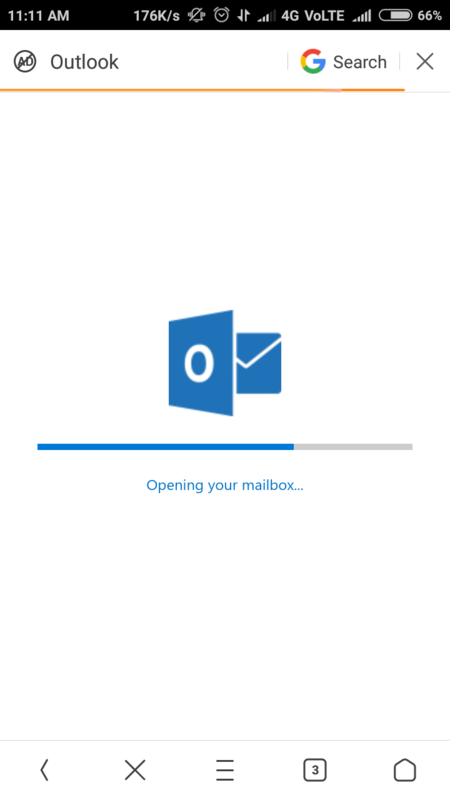 Open the Microsoft Outlook app. Provide your email & password in the add email account option. On successful login, you are good to go. Provide your Hotmail or Microsoft email address. Enter the password for the email account. If you entered both details correctly then you are good to go. After 2-3 seconds Hotmail inbox will open up. 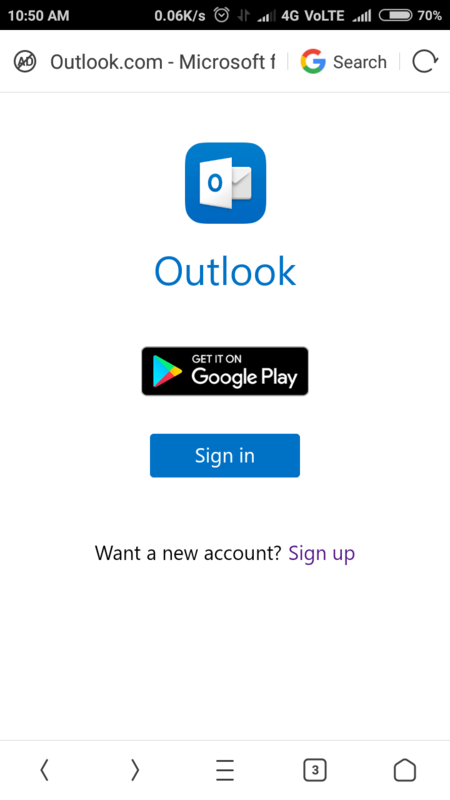 Download the official Microsoft outlook app from the playstore link. Go to the alternative for the setting. Click on the Mail option. Then Mail Alternative. Fill out the email & password for your www.Hotmail.com account. If you have not created or had a www.Hotmail.com account, you can easily make one with a guide earlier provide in the same article, you are reading currently. If details provided by you are correct then you will successfully get email inbox on your iOS devices. 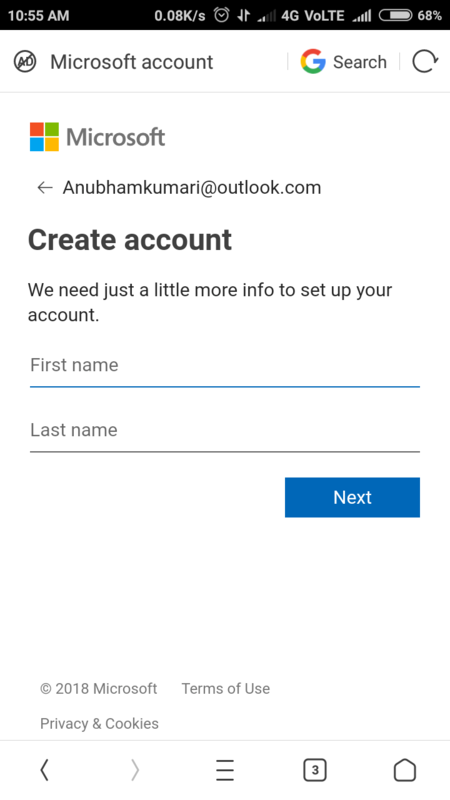 If you are still confused about how to make an account on Outlook then check out the video below. We have explained every step in making the account. Still, if you have any queries regarding it, you can always let us know in the comments below. Q – Why Microsoft did a lot of Rebranding? A – Till now, there is a lot of confusion between the Microsoft and Hotmail users. They face a lot of navigational issues due to this problem and that’s what Microsoft needs to understand but here is what, Microsoft thought about Hotmail and did rebranding from “Hotmail to Windows Live and then Microsoft”. 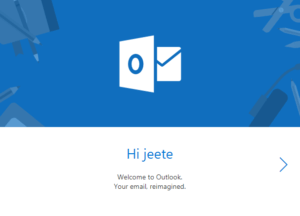 Q – How to sign out of Hotmail email account? A – If you want to sign out from Hotmail account then you can simply click on your profile picture which is located on the right corner. A menu will come up, select sign out option there. You will get a log out from Hotmail. Q – How to find the Options menus? A – Lookout at the top of your Hotmail inbox section. The options menu is located on the right side. There you can find many options to change the way your inbox looks. Q – How to add an attachment to a message or calendar event. A – In your compose email section there is a picture icon located on the top side of your email, click on it. Now you will have to select the location of the photo which you want to attach in your email. If you have a photo, which is located in your cloud then you can select that too. Its easy as the pie. Q – How to get up & down arrow to read previous & next message? When Yahoo Mail and Gmail come into existence? A – These are the default features of the inbox, if you are not getting them, then check by resizing your browser screen. Currently, this feature is in the beta version. You shouldn’t expect this function to work perfectly. However, if you are a person who loves to try out the new feature, then you can have a look at this feature. Hotmail team is working hard to provide new features every day. Q – When Yahoo Mail and Gmail come into existence? A – Yahoo Mail, web-based client email launched on October 8, 1997, and Gmail launched into 2004. From then to now, competition is going on between these email service provider. We got a lot of question on “Which is better: Gmail or Hotmail? and here, we distinguish them https://www.techseek.org/www-hotmail-com-vs-gmail-com/ Gmail vs Hotmail for Business, Security, Professionalism, Renovate etc. Q – How many Email Service Providers Out There in The Market? A – There are ‘N’ number of email service providers out there in the market and have their piece of cake but I have listed down around 51 most popular email service providers with their unique features (USP) and important aspect. You know what? If you read them all and overviews on these 51 email service provider, you could save a lot of time and money on managing your emails, doing multi-task and so on. Q – Is Outlook Banned in China? A – No, As far as we know, Outlook is not banned in any country. 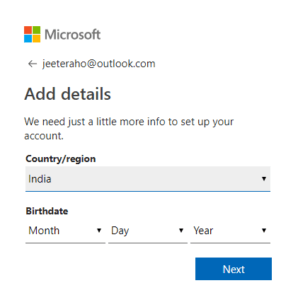 However, Outlook offers country-wise email ids to their users such as Indian can create hotmaillogins@outlook.in and supports around 32 countries as of now. There are a lot of things to talk about related to email service providers Hotmail, Gmail, Yahoo mail etc and we Hotmail Logins are trying to cover solution of all your queries whether it’s “How to” or anything else. If you have any other question regarding Hotmail sign in then you can easily ask us in the comments below. Hi Rashad, Please read the post and you can create hotmail account easily. genuinely beneit from a lot of the information you provide here. Thanks dear, you can provide credit to our post and nice to hear that. I do not even know how I ended up here, but I thought this put up was once good. Thanks ZOMBOCALYPSE, It’s my pleasure to write about it. Thanks dear for your words about our website and content. I would like to say sorry but i am happy that you are happy with my post. And this is good for us that visitor loves our post. Thanks for your words about our post. Hey Stick, We will definitely share the video in next update of the post. Thanks, I am happy to read your feedback. I appreciate you spending some time and energy to put this short article together. I once again find myself personally spending a significant amount of time both reading and commenting. But so what, it was still worth it!